Seven puppies were born in this litter, three boys and four girls. The litter pedigree is here. Dam of the litter is Kuskvillans Åska. the daughter of our own Paul, the multi Champion Feuervale's Over The Top Åska has A/A on the hips and has clear eyes tested in January, 2016 and January, 2019. https://hundar.skk.se/hunddata/Hund.aspx?hundid=3012408 She is either clear or carrier on the AHT test, as her daughter Chipsmakers Que Sera Sera at Thorjakkar has tested clear on the AHT test. Åska will be tested in the next weeks. Åska has been exterior described in Sweden with a rating of 'Very Good' http://vastgotaspets.se/filer/resultat/beskrivningar/tikar/Kuskvillans_Aska.pdf She has passed her BPH, Swedish character test. Sire of the litter is Optimist Blue Blood or 'Remy,' import to Europe from the USA. Both of his parents are AKC Champions. Remy has hips scored B/B in Sweden and clear eyes tested in April, 2018 https://hundar.skk.se/hunddata/Hund.aspx?hundid=3232313 Remy is clear on the AHT test. 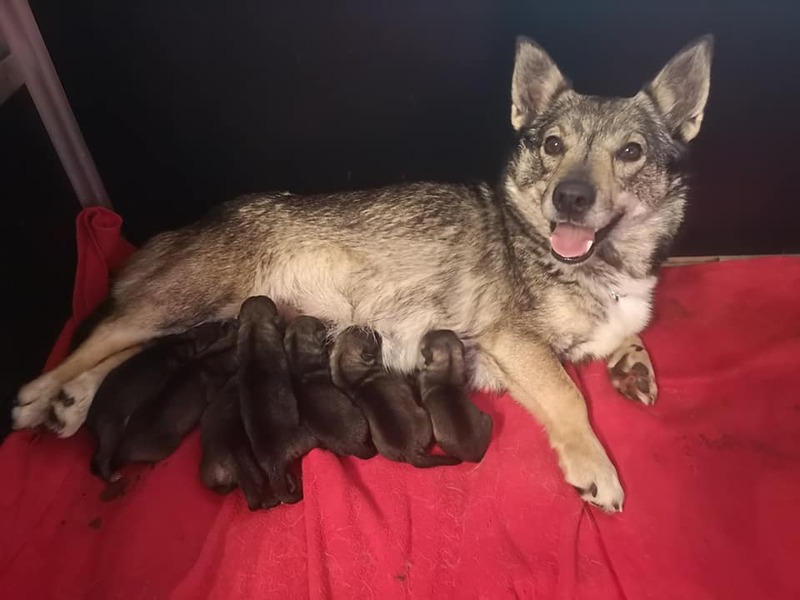 In this litter, all puppies should be either clear or only carriers of the Swedish Vallhund retinopathy gene, therefore no puppy should be affected with this gene.